PowerPoint Programming | Everything about PowerPoint programming including VBA, VSTO, and more. Everything about PowerPoint programming including VBA, VSTO, and more. In September last year, we carried a feature that showed how you could create transparent pattern fills in newer versions of PowerPoint. We ended that post with the hope that someone will be able to provide a VBA-based solution. Around Christmas, Jamie Garroch of YOUpresent decided to play Santa Claus and provided more than just a VBA solution. He created a free add-in that sits comfortably within your PowerPoint right-click menu. This menu option provides you with quick access to adding transparency in pattern fills for shapes! Since this was such an amazing gift, we decided to hold on to this story until everyone got back from their holidays, and then it looks like we waited too long! Well, you no longer need to wait. Before we tell you more, let us ask Jamie to tell us more about this add-in. For those who would like to now add transparency to your pattern fills, there’s an easy solution. You can download the PowerPoint add-in from Jamie’s site. And if you need some inspiration to use transparent patterns, then Jamie provides that too! On his site, you can find an old television set that has the scanlines effect, created entirely in PowerPoint! And for programmers, Jamie also generously provides the entire source code. When you add slides to a presentation based on some of PowerPoint’s built-in Themes, you may find that all titles (headings and/or subheads) scream out in UPPERCASE letters, no matter what you do! In some cases, this behavior may happen because the chosen font contains only uppercase letters. Alternatively, and more likely, the presentation’s Theme has placeholders set to produce all uppercase (aka capital) letters. The Circuit and Integral themes that come with some versions of PowerPoint are examples of such Themes. This one started as a forum post from Manon Mikkers Minning on the Presentation Guild site. Forum access is only available to Presentation Guild members. Here’s the problem scenario. A particular slide had many trapezoids that should have been rectangles. Normally, the solution is to select all trapezoids and use PowerPoint’s Change Shape option to turn them into rectangles. But assuming you have hundreds of trapezoids on one or more slides, it can be a boring, time-consuming task to select all of them. And then, of course, they need to be changed to rectangles. Would VBA provide an easier and more elegant solution? 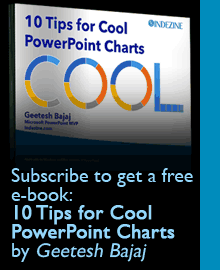 Steve Rindsberg of PowerPoint FAQ and PPTools has an answer. Have you created a huge monster PowerPoint file that’s hundreds of megabytes in size or even a gigabyte? The culprit may be any videos you have inserted on your slides! In years gone by, we always recommended that users place their videos (or any other media or linked files) in the same folder as their PowerPoint presentations so that the links to video files worked when you moved the presentation to another computer. You could then just copy the entire folder to another computer! PowerPoint 2010 changed everything! Rather than linking videos, the default option was now to embed the videos as part of your PowerPoint file. And that’s how it has been for subsequent releases of PowerPoint, including version 2011 and 2016 on Mac, and version 2013 and 2016 on Windows. Jamie Garroch, CEO of GMARK Ltd., founded the company in 2009 to provide presentation professionals with PowerPoint software, content and training. Jamie uses PowerPoint for most of his graphic needs — for everything from designing logos to creating web banners and even printed marketing collaterals. He also uses PowerPoint as a programming environment to create custom programming procedures and PowerPoint add-ins. In this conversation, Jamie discusses what the upcoming PowerPoint 2013 offers developers, and about the rumors that apps will replace add-ins soon. Steve Rindsberg has been associated with PowerPoint since the product originated more than two decades ago — his PowerPoint FAQ site is a treasure trove of PowerPoint information. When he’s not updating his site, he’s creating new PowerPoint add-ins that expand possibilities within PowerPoint. Steve’s also into a lot of print technology related stuff. In this conversation, Steve discusses what the upcoming PowerPoint 2013 offers developers, and about the rumors that apps will replace add-ins soon. Do you want to remove all animations from your slides? You may want to remove animations for a variety of reasons: maybe the sequencing is all messed up, and starting all over again seems like a great idea. But one look at your Animations task pane reveals tens or hundreds of animations on each slide. 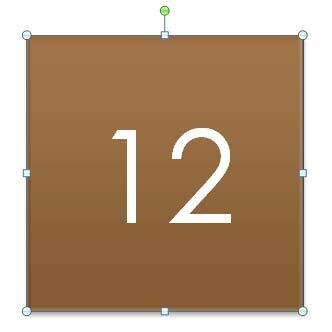 Is there a magic button somewhere in PowerPoint that can get rid of all animations all together? Yes, you can do this easily in PowerPoint using some simple VBA code, as John Wilson of PowerPoint Alchemy explains. John adds that this only removes animations from individual slides, and not any animations added within the Slide Master.